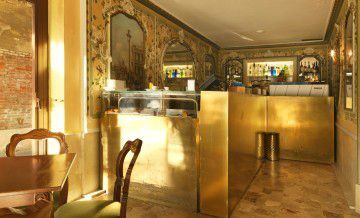 This cafe is one of the most ancient in Italy, and its activity started it in 1775. 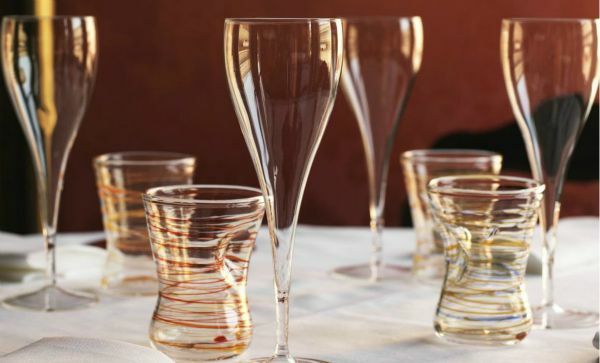 The cuisine is a contemporary expression of Italian and Venetian classics. 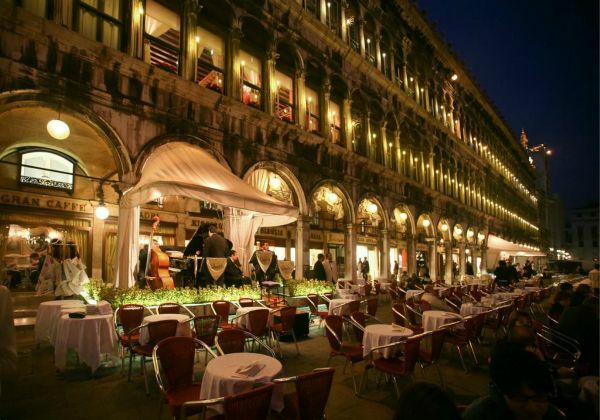 The menu highlights ingredients sourced directly from the Venetian lagoon, primarily fish that arrives daily from the Rialto market. 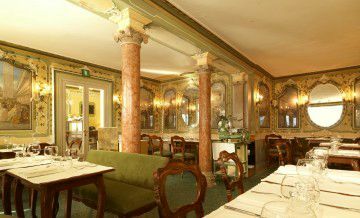 The elegant interiors on the ground floor are decorated with exquisite Venetian stuccos and face large windows looking directly onto Piazza San Marco, allowing diners to enjoy the sight of one of the most fascinating places in the world. 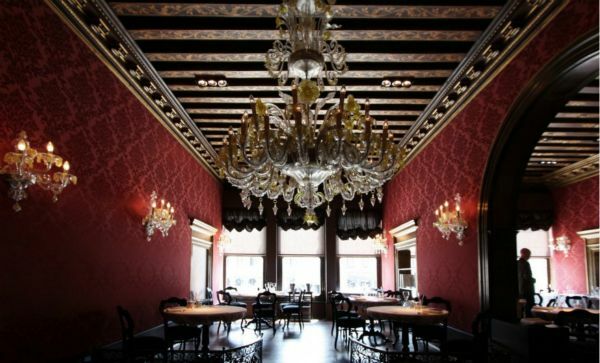 Upstairs,the atmosphere in the dining room is elegant, yet relaxed, allowing guests to enjoy the allure of the most beautiful squares in the world. Important costumers of this Cafe: Stendhal, George Byron, Alexandre Dumas, Richard Wagner, Marcel Proust, Michail Gorbačëv, François Mitterrand and Woody Allen. 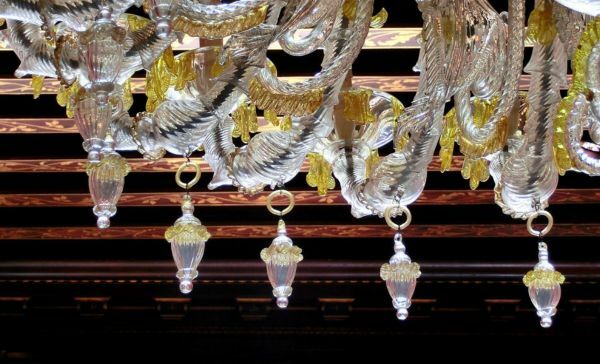 This Grancafè is one of the few places in the world that has maintained its timeless allure throughout the centuries. 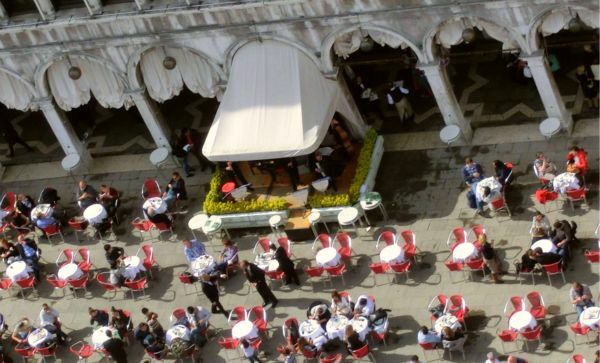 When inside the historic dining and sitting rooms, looking out onto St. Mark’s Square, you can feel the ambiance of Venice’s first cafes, which changed European social customs during the twilight of the Venetian Republic and the beginning of the modern age.